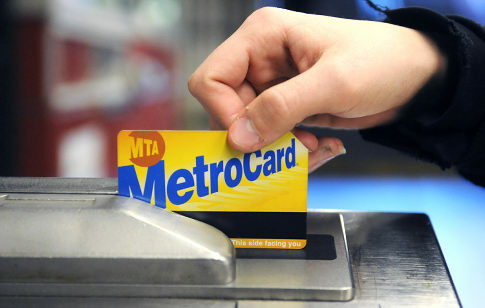 No one knows how to use the MTA swipe entry. It is amazing to me how often i find myself behind people who have no clue how the card needs to be aligned or how it actually works. It is strange considering so many people use credit card swipes for purchasing products and getting their money. It is no wonder why the MTA is investing so much into a smart card system that doesn’t require the physical swipe. The whole system is terrible. That page url is ironically named “easyuse.htm”. Not even close. I have waited countless times to swipe at the south east entrance to the NYU/ Broadway station which has one of those floor to ceiling turnstiles. At all times of day, a line forms because of the multiple attempts people make to get a “go”. I give people a shadow of a doubt: maybe the reader is too dirty. However, each time it is my turn, I get in on my first try. I am not a swipe ninja; it’s luck on my part. The process every time seems inefficient and slow. Even though it made me look like a stalker/robber, I spent ten minutes watching people use the before mentioned entrance. People swiped fast, they swiped slowly. They swiped hard, they swiped with finesse. Some did a double swipe, back and forward and to my surprise, that sometimes worked. Some even did an exasperated quad swipe back and forth. For the few people who did get it to work on their first swipe, their reaction was commonly shock. The entire system is also ergonomically an issue. Instead of having a visual cue in front of the swiper so that the flow of traffic is always forward, the swiper has to look back to see if their swipe registered. Then the screen that shows the status is set low, quite small, and behind the user. I have not been able to see my expiration date on my card in months. There has to be a better design than this. why is itunes so bad still?